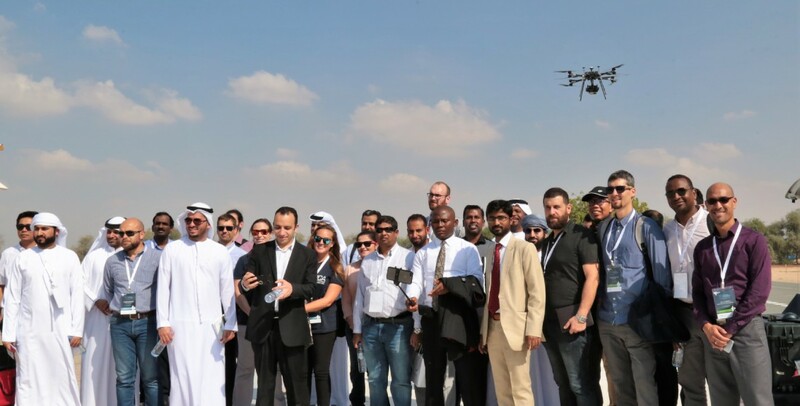 The event was jointly organized by the Zayed University, the International Center for Biosaline Agriculture (ICBA) and the Falcon Eye Drones (FEDS). In keeping with the spirit of the Year of Zayed, Drones Synergies 2018 was a non-profit and non-commercial event, fully sponsored by its organizers. and complimentary for invited participants. The event, which was attended by more than 150 participants, was designed to foster technology and data in driving decision making in today’s data-powered economies, highlight further advancements in drone technologies and note the rise of the Artificial Intelligence (AI) and Internet of Things (IoT) that propels different stakeholders to innovate processes, systems, and solutions that shape our future. Six plenary sessions and twenty capacity building workshops were held at the conference to focus on contemporary and crucial developments related to the drone industry and latest technologies. The event comprised of four practical workshops that included field trials and real drone data acquisition, allowing all delegates to gain and enhance practical experiences. 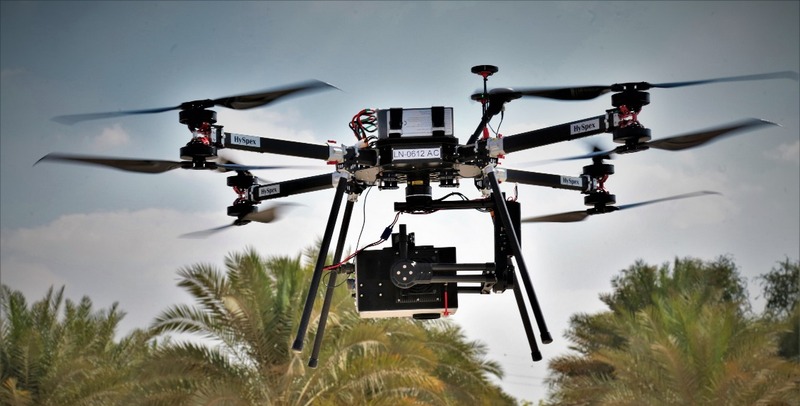 Using hyperspectral drones for data collection was one of the main attractions during the field sessions at Zayed University and ICBA, which according to drone pilots was first-of-its-kind in the Gulf Cooperation Council (GCC) region. Prof. Reyadh Al-Mehaideb, Vice-President of Zayed University, said, “We are honored to host this important event at the Zayed University today. The UAE puts much emphasis on the growth emerging technologies represent as we strive to stay ahead of the global trends. Drones will make much difference in the coming years, and we want to ensure that we fulfill its abundant potential. Education, as well as the nurturing of future talents in this field, are only a few steps towards our futuristic vision of shaping smart cities”. “In order to achieve Sustainable Development Goals (SDGs), particularly the zero poverty and zero hunger by 2030, we must explore new technologies such as artificial intelligence for remote sensing and data acquisition,” added Dr. Elouafi. Dr Fares Howari, Dean of the College of Natural and Health Sciences, said, "UAE University and Zayed University have joined forces to map and investigate the mineral resources, using field and remote sensing techniques, which provides ground truthing surveys using drone mapping application outcomes and findings that resulted from ZU based project, funded by UAE Space Agency." "The drone conference conducted a trial hyperspectral survey for vegetation mapping at ZU campus in Dubai. Hyperspectral imaging, like other spectral imaging, collects and processes information from across the electromagnetic spectrum. The goal of hyperspectral imaging was to obtain the spectrum for each pixel in the image of a scene, with the purpose of finding objects, identifying materials, or detecting processes," he said. “Drones Synergies is a unique conference that allows top regional stakeholders realize unmanned aerial vehicles (UAVs) and systems’ full potential. It’s the only conference in GCC region that features project-based learning approach while allowing event delegates to gain practical UAVs knowledge, based on real field trials using the latest drone technology and processing techniques”, comments Rabih Bou Rashid, Managing Director at Falcon Eye Drones. The event welcomed governmental agencies, prominent academics, and scientists from across the UAE, GCC and the world. It also welcomed industry influencers, end-users from most industries and international experts in the field of AI and unmanned aircrafts.